When we take modern family portraits of children we pretty much let them do what they want to do. That's how you get their personalities to come through. These brothers loved competition and it was all about who could throw the leaves the highest. 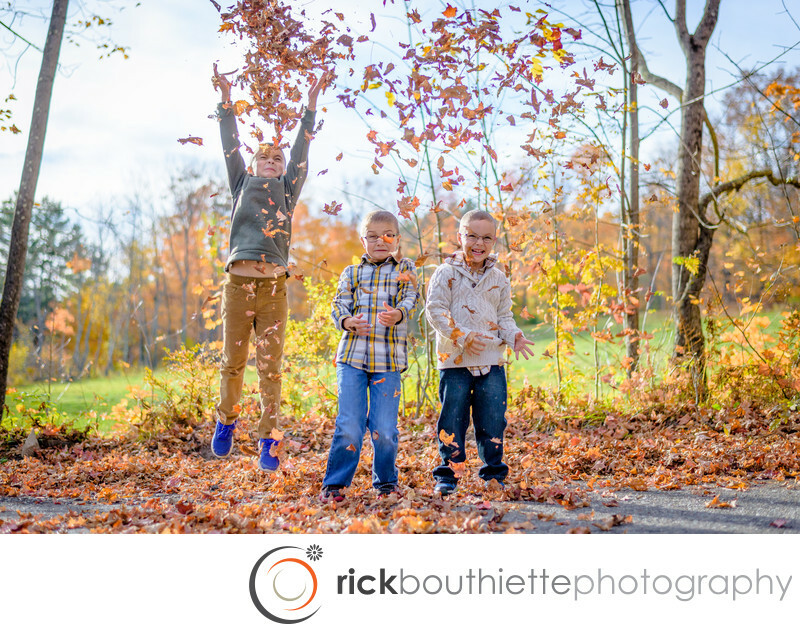 The fall colors in New Hampshire make a great backdrop for modern family portraits.